Australian manufacturer Quickstep Holdings says it will supply wing flaps for Lockheed Martin’s LM-100J commercial freighter. The company made the announcement in a statement to the Australian Securities Exchange on Monday. The LM-100J is a civil derivative of the C-130J Super Hercules military airlifter. Lockheed Martin rolled out the first of the type at its Marietta, Georgia facility in February 2017 and the aircraft was on static display at the recently concluded Paris Airshow. The aircraft, powered by Rolls-Royce AE 2100D3 engines, made its first flight on May 25 2017. Quickstep is the sole global supplier of wing flaps for the C‐130J Super Hercules after signing a five-year memorandum of agreement in December 2013. Current C-130J orders extend through to 2019. “The Quickstep team is extremely proud to be the supplier of wing flaps for the LM-100J in addition to the C-130J military version of this aircraft,” Quickstep chief executive Mark Burgess said in a statement. Separately, the company also has agreements with several original equipment manufacturers to supply parts for the F-35 Joint Strike Fighter project for the next two decades valued at about US$700 million. Burgess said Quickstep’s aerospace business was “strong and profitable”, noting the company’s forward order book and revenue growth. “I am genuinely excited about Quickstep’s future,” Burgess said. Lockheed Martin first applied to the US Federal Aviation Administration (FAA) in February 2014 for a civil-certified version of the C-130J-30 Super Hercules. In July 2014, Ireland-based ASL Aviation Group signed a letter of intent (LoI) for 10 LM-100Js. More than 100 units of the L-100, the commercial variant of the first-generation C-130, were produced between 1964 and 1992. Many of these aircraft are still in service around the world with a range of commercial and government customers. 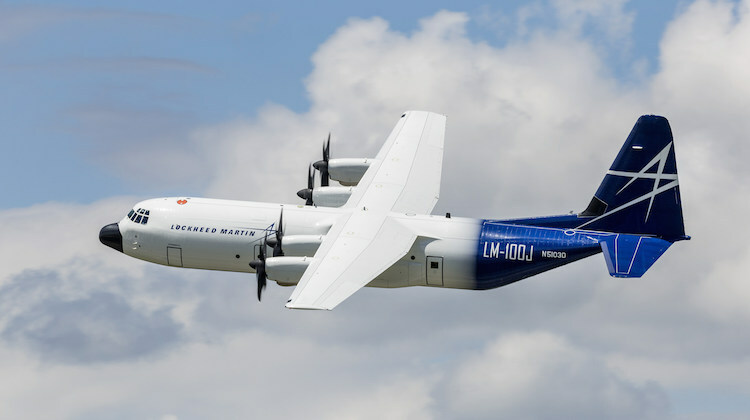 Lockheed Martin has said previously the LM-100J would be able to operate from short, unprepared airfields without ground support infrastructure and require only minimal cargo-handling equipment. The aircraft was set to be built on the existing C-130 production line, with first delivery expected in 2018. The Royal Australian Air Force’s 37 Squadron operates a fleet of 12 C-130J-30 Hercules from RAAF Base Richmond. This would be an ideal aircraft to supply Lord Howe Island with produce. Apparently they want to extend the airstrip to allow bigger aeroplanes to land and takeoff mainly to get more goods into the island. The Dash 8 which currently services the island can carry sufficient passengers but not enough cargo. At present most of the heavier cargo is transported by ship which is slow and sometimes unreliable due to weather conditions.